It’s International Women’s Day on 8th March and Snozone are offering FREE beginner lesson’s (90 minute Lesson One group lessons) to women throughout the day. Snozone truly believe in sport for all and are proud, once again to support Sport England’s ‘This Girl Can’ initiative to encourage more women and girls to take up a new sport and then continue it. Snozone lead the field in our sector for doing so. 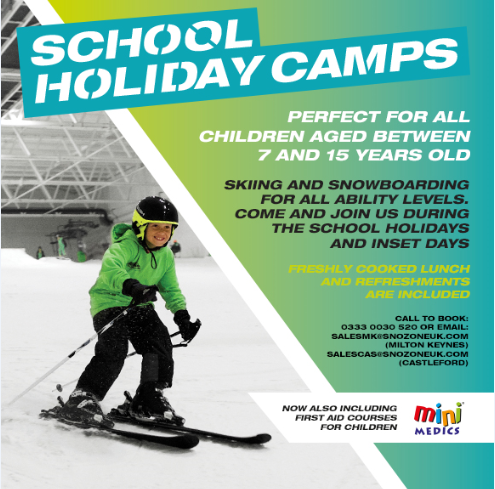 Spaces will be booked on a first come first served basis, call to book your place on 0333 0030520 for Snozone Castleford/ Milton Keynes or 01908 680830 for Skizone Basingstoke.